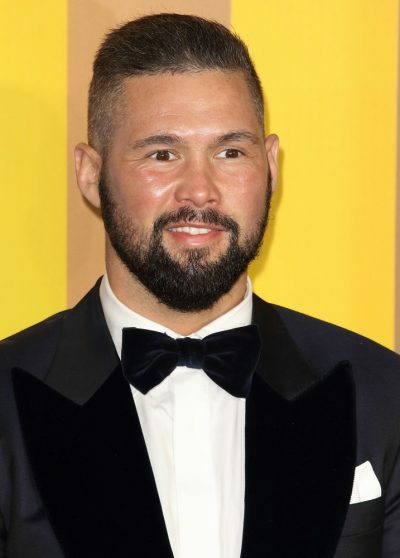 Place of Birth: Liverpool, Lancashire, England, U.K.
Tony Bellew is a British boxer and actor. He has won a numerous Commonwealth and ABA Championship titles. He played “Pretty” Ricky Conlan in the film Creed (2015). Tony’s maternal grandmother is evidently white, which means his maternal grandfather was likely black. Tony’s paternal grandparents were named Anthony P. Bellew and Irene M. Wright. Tony’s maternal grandparents were a man surnamed Thompkins, and Rose Smith. Something which often surprises me with this site is the amount of inaccurate stuff. And even put into featured posts. To begin with, just looking at this guy, it’s clear there’s something wrong with *English (father) *African (mother). What the hell does it mean “African”?? His mother is mixed-race being his maternal grandmother a white woman. He is the son of Frances I. G. (Thompkins) and Anthony P. Bellew. Tony’s paternal grandparents were Anthony P. Bellew and Irene M. Wright. Tony’s maternal grandparents were ? Thompkins and Rose Smith. No, I am not blaming anyone. I was stating what it’s obvious, that this guy wasn’t unlikely half “African”.